The famous Joffrey Ballet School in New York City prides itself in turning passionate dance students into versatile and individualistic artists, and there’s no one group of students more passionate about dance than the dancers at Kick Dance Studios. This passion got three of the studios dancers accepted into the Joffrey Ballet School Summer intensive program in New York City. Christina Alesio, Stella Demcsak, and Sarah Landy, all 13 of Fair Haven, spent hours and hours preparing for their auditions to the school. Each had private sessions at Kick Dance Studios to focus on their technique before the big audition. They worked one-on-one with Amanda Pyne, a Kick Dance instructor who attended the Joffrey Ballet School as a year-round trainee. “Kick Dance Studio physically and mentally prepared me for the Joffrey Ballet School experience,” said Christina. All the prep paid off for the dancers, who were accepted into the highly-competitive summer intensive program. There, they took classes in both new and familiar dance styles taught by professional dancers from different companies from around the world. Not everything was new for the girls at the Joffrey Ballet School, who had been exposed to different genres of dance from professional dancers teaching master classes at Kick Dance Studios over the years. The techniques they learned in those master classes prepared them well for the kind of things they learned at Joffrey. The Joffrey program exposes students to a rigorous ballet program, ending with a performance that illustrates the styles and techniques learned. But the dancers from Kick Dance got more than just dance instruction out of their experience. “At the Joffrey Ballet School we got to know students from other parts of the United States, and even some from different countries,” said Sarah. Kick Dance Studios owner and director Vanessa Berry strives to provide her dancers with strong conditioning classes that prepare her students for programs like the Joffrey Ballet School Summer Program. Her students learn confidence, grace, stage presence and coordination while developing a love for dance in all its styles. Classically trained to the highest standards, The Joffrey Ballet expresses a unique, inclusive perspective on dance, proudly reflecting the diversity of America with its company, audiences, and repertoire which includes major story ballets, reconstructions of masterpieces and contemporary works. Founded by visionary teacher Robert Joffrey in 1956, guided by celebrated choreographer Gerald Arpino from 1988 until 2007, The Joffrey Ballet continues to thrive under internationally renowned Artistic Director Ashley C. Wheater who was recruited as a dancer in 1985 by Joffrey and Arpino before returning to lead the company in 2007 after a heralded tenure at San Francisco Ballet. The Joffrey Ballet has become one of the world’s most revered and recognizable arts organizations in America and one of the top ballet companies in the world. From a child’s first dance class to their graduation performance, Kick Dance Studios is a fit for everyone. The dance school specializes in beginners of all ages and offers training through pre-professional levels. Dancers go beyond technique to develop important life skills, learning to be respectful, confident and conscientious young people who share their gifts and talents with the community. 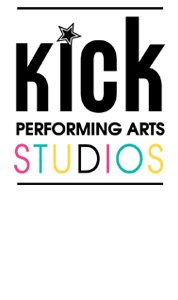 Kick offers a wide variety of dance, acro/gymnastics, theater and mommy and me classes for all ages and abilities, and the goal is to provide the highest quality training while developing a love for the arts. Classes are all instructed in a supportive, non-competitive atmosphere, and emphasis is placed on personal development and achieving goals. Kick Dance school students come from Rumson, Fair Haven, Oceanport, Little Silver, Red Bank, Monmouth Beach, Long Branch, Eatontown, Shrewsbury, Oceanport, NJ and beyond. Cover Photo (Credit Purlee Photography): Three students from Kick Dance Studios, Stella Demscak, Christina Alescio and Sarah Landy, all 13 of Fair Haven, were accepted into the Joffrey Ballet School Summer intensive program in New York City. The girls took classes in both new and familiar dance styles taught by professional dancers from different companies from all over the world.